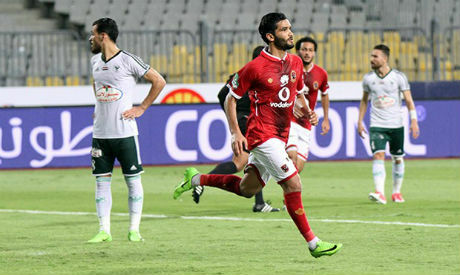 Ahly midfielder Salah Gomaa has returned to the Reds' squad for the first time in almost a year after being called up by coach Martin Lasarte Wednesday for Thursday's Egyptian Premier League match against Maqassa. The 25-year-old Gomaa, who joined Ahly in 2015 from Enppi, wasn't officially registered with the Cairo giants since ending his loan spell with Saudi side Al-Faisaly last summer. Uruguayan boss Lasarte has called up 21 players for Thursday's match amid the return of defence duo Saad Samir and Ahmed Alaa after recovering from injury.